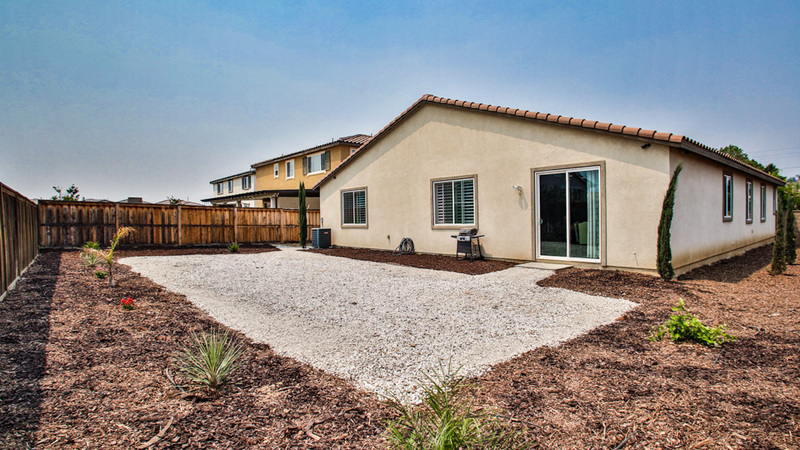 Beautiful single story 3 bedroom/3 bathroom home with 3 car tandem garage built in 2013. 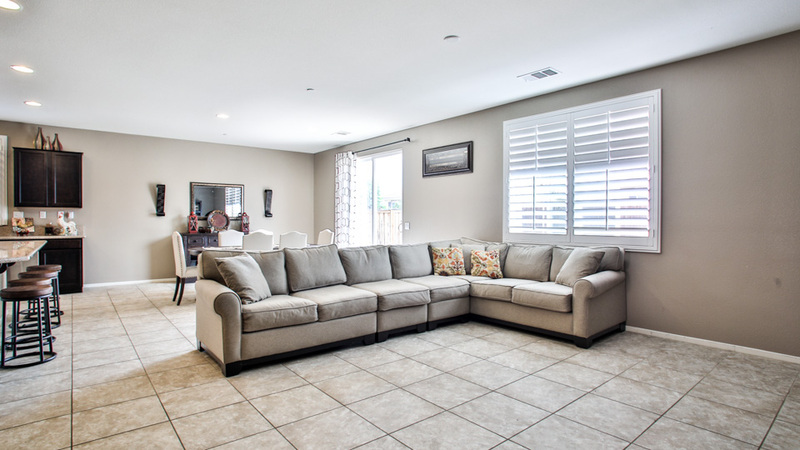 This home is beautifully maintained with landscaped front yard with manicured hedges. 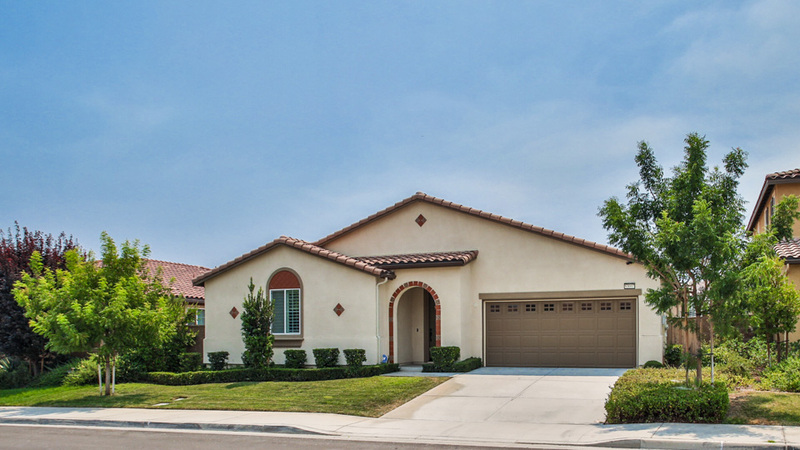 Enter the home through the arched doorway with Spanish tile accents to a spacious entry way. The open floor plan for the dining & living rooms makes it the perfect space to design & make your own. The kitchen opens to the dining & living rooms with an extra large island offering seating & counter space, perfect for entertaining. 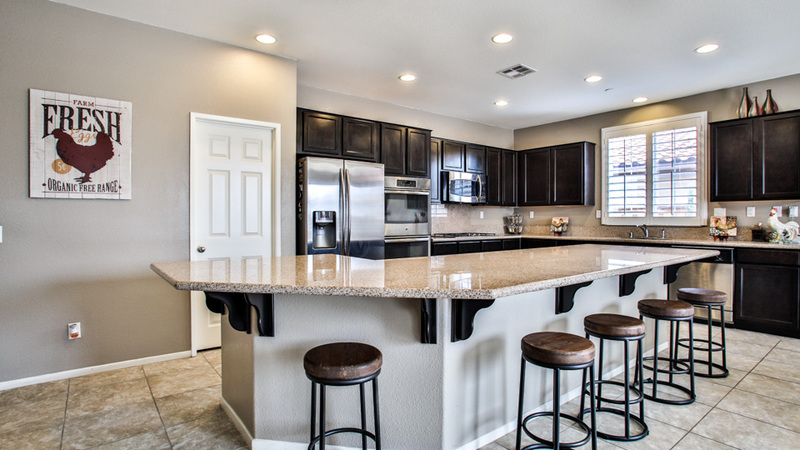 Mocha colored cabinets beautifully contrast the granite countertops & stainless steel appliances. The walk in pantry makes this space both beautiful & functional. The dining area is just off the kitchen with sliding glass door to the backyard. The master bedroom is large & spacious with master bathroom attached. The dual sinks, built in vanity, soaking tub & separate shower make this a warm & inviting space to start you day. Two of the bedrooms are spacious with large closets & share a Jack & Jill bathroom with dual sinks & shower & tub combo. The office/den could easily be used as a 4th bedroom. There's also a half bath & large laundry room with built in shelving. The backyard has just been professionally landscaped for drought tolerance & is a blank canvas for you to put your mark on it. 6 solar panels save you lots of $$$ & they are paid for! Other amenities are tile flooring throughout, recessed lighting, fire sprinklers, plantation shutters & 6 panel doors throughout.